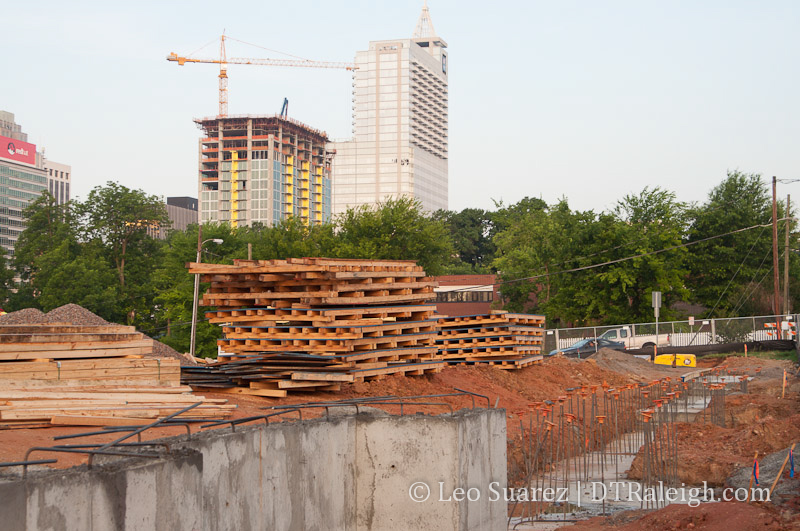 This is part 9 of a 10 post series, rolled out all week, on residential projects in downtown Raleigh. Go here to see all the posts so far. Its ground breaking was pretty recent so you may have already heard of the 224-unit apartment building to the east of Moore Square. The Lincoln has really been moving and footings are already being put in. According to news sources, the project should be done by Summer 2015. One of the more anticipated projects since they cleared that block. Glad to see it moving forward and I hope it becomes the catalyst for more urban infills. Yes, I wish it was a couple of stories taller, but it fits in that neighborhood just fine, as is. The linked renderings look similar to The Exchange at Brier Creek.